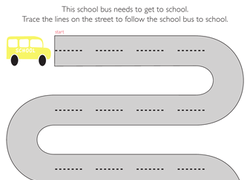 This all-inclusive worksheet is a good way to give your preschooler practise with counting, writing and drawing. 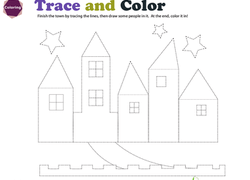 Build great writing skills in your preschooler with this tracing practise sheet. 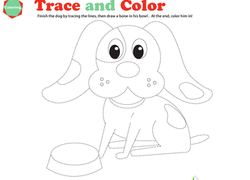 This tracing lesson will help train your child's hand for writing letters and words. Imagine: What Do You See? 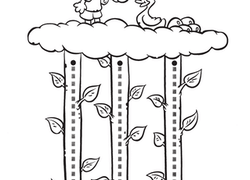 Encourage little ones to build their imaginations and early writing skills with this worksheet that requires visualization! 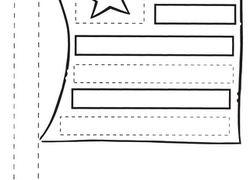 Your preschooler will get a head start on writing by tracing letters. Prepare your preschooler for writing by enhancing her fine motor skills development and improving her pencil control. Have her trace the vertical lines. 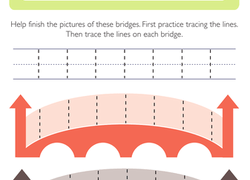 Complete the picture of the party hats by tracing the diagonal lines to form the pattern on the hats to practise pencil coordination to prepare for writing.